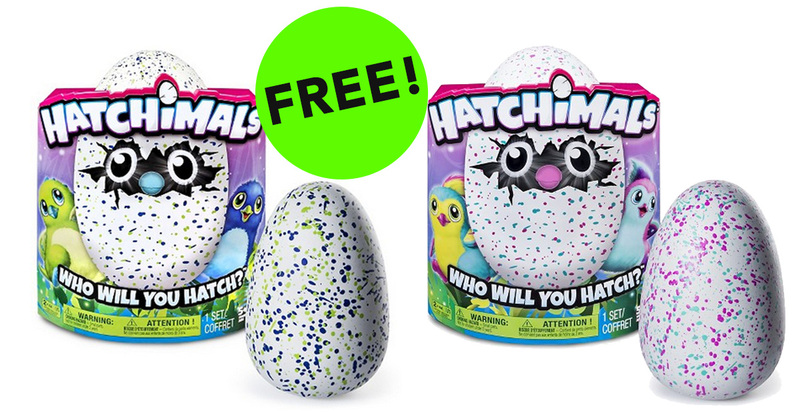 Here’s your chance to WIN Hatchimals! I have several of them, and I’m giving them away to loyal my fans! Hatchimals are one of the HOTTEST toys for Holiday 2016! They’re sold out everywhere! I am excited to offer them FREE to my fans! Here is your chance to get yours! SHARE SHARE SHARE ALL THE POSTS on fb.com/GimmieFreebies!! 2) LIKE & COMMENT on the video on Facebook to enter! ** While you’re at it, grab some totally free stuff we share! 3) Bonus: on EVERY POST on fb.com/GimmieFreebies and in our FREE STUFF Group that you LIKE or COMMENT on acts as an ADDITIONAL entry! ARV of prize is $60. Winners are chosen randomly during each “entry period” and will be contacted on Facebook. Winner must respond within 48 hours to claim prize. 11/20 – 11/28/2016 – Laura Rose – winner of Hatchimals #2 giveaway! 11/29 – 12/7/2016 – Jessica Miller – winner of Hatchimals #3! 12/8 – 12/16/2016 – Martha Gravely – winner of Hatchimals #4!